Narrowing of intervertebral spaces C4/5, C5/6, C6/7 with venteral and posterolater ostephytes. Mild intervertebral an uncovertebral arhrosis in C5/6. 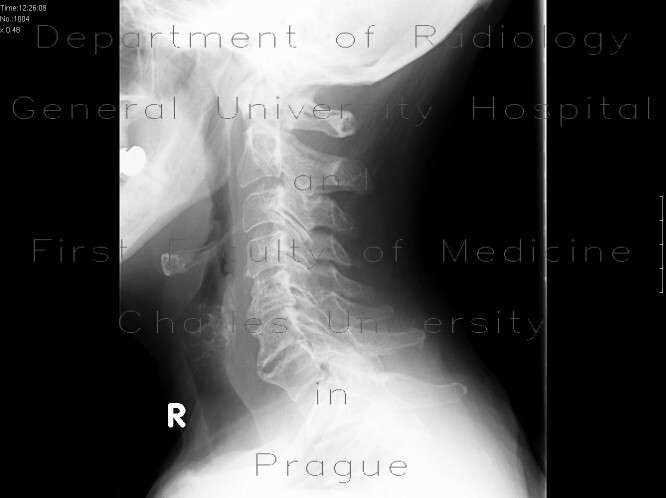 Flattening of cervical lordosis.